How can advances in 3D scanning and virtual reality be used to help communities being displaced by a high speed rail? The Palimpsest is a proposal for a forum where past, present, and future versions of our cities exist simultaneously. It is a middle-ground platform where visions for the future can be experienced at a 1:1 scale and discussed publicly, with less barriers to access. All stakeholders in an urban development project can record and upload geo-located content to a predetermined public space. This content can range from documenting important spaces that are at risk of demolition, to personal interviews about what is important to a community, to proposals and ideas for what the project could be. 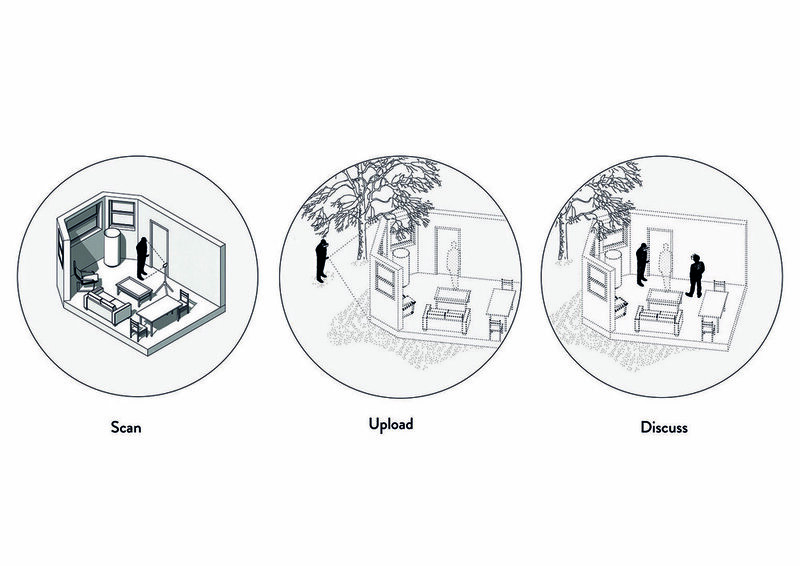 In the example below, a person who may lose their home uploads a scan of the space and a recording of themselves speaking about what is at stake for them. Once uploaded, members of the public and government can view and respond to the content. As more and more content is uploaded, a living, digital palimpsest forms over the city at a 1:1 scale. For designers, low-cost 3D technology is a powerful tool. For the public, it means proposals for urban development can be assessed as intuitively as the real world. Featured on The Guardian, WIRED UK, Creative Applications Network, designboom. Read in-depth research supporting this project here.